Manufacturers share the development of welding technology in the field repair boring machine_News_Xinxiang Lantu Machinery Co., Ltd. 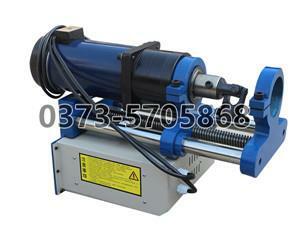 On-site maintenance boring machine is a kind of equipment used for welding fixed repair. We must be familiar with the welding process and welding technology before use. As long as the operator has strong and mature welding ability, it can flexibly use the boring machine. The fixing must be welded and fixed to make the machine stable. In order to eat the knife smoothly. Electric welding machine is an important process equipment of modern industry. It has been widely used in shipbuilding, chemical, metallurgy, construction, engineering machinery, automobile, light industry, electric power and other industries. It is also an indispensable processing equipment for defense, cutting-edge industries such as aerospace, electronics and atomic energy. . When the construction machinery boring machine uses maintenance equipment, it is inseparable from the electric welding industry. Welding is a manufacturing technique that permanently joins materials and becomes a given functional structure. Many industries in the national economy require a large number of high-grade welding machines. Almost all products, from hundreds of thousands of tons of giant wheels to less than one gram of microelectronic components, rely on welding technology to varying degrees in production. Welding has penetrated into all areas of manufacturing, directly affecting the quality, reliability and longevity of the product as well as the cost, efficiency and market response speed of the production. China's total steel output reached more than 200 million tons at the end of 2003. In 2004, the output of steel was 270 million tons, and the actual steel consumption was 301 million tons. In 2004, the total steel consumption in the world was 1 billion tons. China accounts for almost one-third of the world's steel consumption and has become a major steel producer and consumer in the world. The objective situation has provided a great stage for the development of China's welding industry. At present, steel is the main structural material in China, and steel will still occupy an important position in the next 20 years. However, steel must be processed to become a product with a given function. Due to the advantages of light weight, low cost, stable quality, short production cycle, high efficiency and fast market reaction speed, the application of welded structures is increasing. The total amount of steel processed by welding is more than other processing methods. The electric welder is the first and foremost condition to ensure high quality welds. Therefore, the development of China's manufacturing industry, especially the equipment manufacturing industry, must attach great importance to the simultaneous improvement and development of welding technology and its welding machine. On-site maintenance boring machine manufacturers in order to have better and more welding technicians to master higher skills, can better grasp the digging machine boring machine, mobile boring machine, small boring machine, etc. Welding technology talent.